There is an alternative though – using actual pure MSM powder. You know it’s pure. No petroleum jelly here. But how do you actually use it? I decided to order a bag of it and get to the experimentin’. I hastily bought a bag of it that I could get in Canada easily… there was no particular reason I ordered this brand, as I thought all were pretty much the same. Here’s a good one available in the United States. I later read that some actually are cut with fillers, so make sure that whatever you buy, it says it’s 100% pure and preferably specifies there aren’t any fillers or binders. I got lucky mine seems to have checked out, but I could have been out of luck. Here’s the story on working with MSM powder. It’s very grainy. Like chunky salt crystals. I didn’t realize it was so grainy. I tried to mix a little with water and apply it to my face, just to see, and the crystals just sat there on top of it. When I tried to wipe it away, it felt like sandpaper. This could be used to exfoliate your skin if you wanted, but I think for most people, it’s too abrasive and could really aggravate your skin, especially if you have active acne. 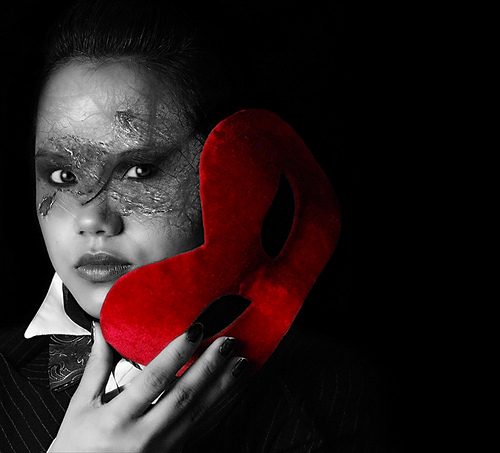 So what you want to do then is dissolve it in something and THEN apply it to your face. At first I thought, oh you can dissolve it in, say, jojoba oil, if you are already using that to moisturize. But then I found out it was only water soluble. So then I thought… aha! Aloe vera is perfect medium. Because aloe vera also has very soothing, scar reducing properties… it’s personally what I used to use to reduce and heal my red marks when I was healing from my severe acne. So I squirted some pure organic aloe vera gel in a bowl, and absolutely saturated it with MSM powder. I waited DAYS for that stuff to dissolve. But all I got was a big grainy pasty mess. So I thought, okay let’s see if it dissolves in just warm water. So I saturated a cup of warm water with it. And all I got was some water with a big grainy mess in the bottom. Okay, so then I started reading that it won’t dissolve properly if it’s not pure, OR if the ratio of MSM to water (or aloe) is too high. I really hoped I had just put too much in there and that I didn’t have to order new MSM. This thing I read suggested that you only use 1 level tablespoon per 1/4 cup (aka 50 mL, or 2 fluid ounces) of aloe vera . Buy pure 100% MSM powder. If you’re in the States, I suggest this one. The one I bought in Canada seems to be legit too. Buy as close to pure aloe vera gel as you can. I like Green Leaf Naturals the best. Aloe straight from the plant would be absolute best, but the downside is that it lacks any preservatives so your MSM gel might spoil before you can use it all (or add a few drops of grapefruit seed extract as a natural preservative). So your call! 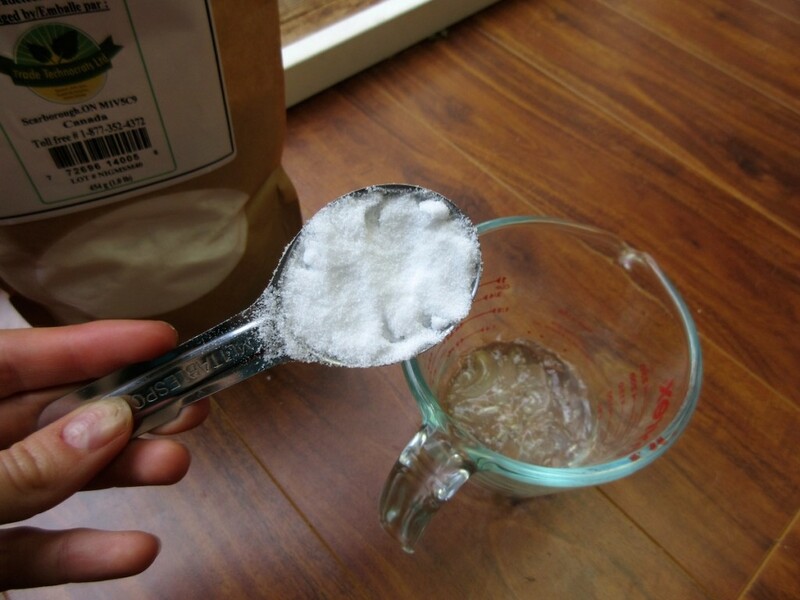 Mix 1 level tablespoon in with 1/4 of a cup aloe vera. You can double or halve recipe accordingly. Let it dissolve. Should pretty much dissolve within several minutes if it’s pure. There may be chunks though, that you will have to mash out with a spoon… that’s good, actually… MSM will naturally clump, it’s a sign of purity! Use once or twice a day (or even more probably wouldn’t hurt), by dabbing a bit of it on your red marks and scars. 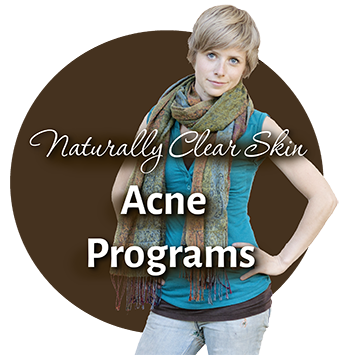 If you want to, you can use it all over your acne prone areas… it will not hurt active acne, and may even improve it. At night, this would be the last thing you put on your skin (ie, after you moisturize). If you are using it in the morning, it would be after moisturizer, but under makeup if you’re wearing it. Have you used MSM? 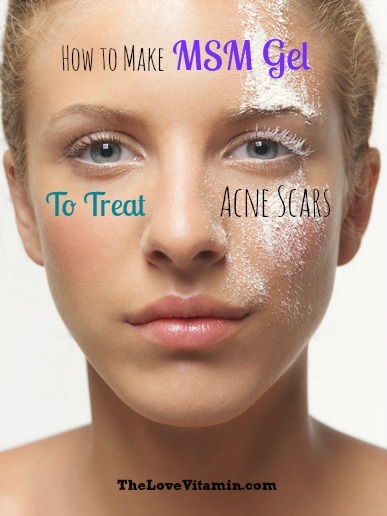 Have you had good results using it to clear acne scars and marks? I Love Aubrey Organics Aloe Vera for Acne Scars and Inflammation! 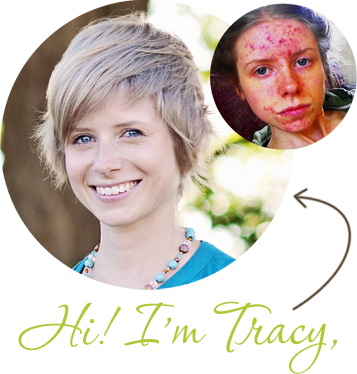 How To Get Rid Of Acne Scars and Hyperpigmentation Naturally A Quick Guide to Natural Treatments for Acne Scars What About Vitamin E for Acne Scars and Hyperpigmentation? hey thanks for the tip! however is there something else i can use other than aloe vera as it breaks me out. Hi Linda, you can definitely experiment with mixing it with whatever you’d like, but I can’t really think of something off the top of my head that would work as well as aloe as far as consistency / stickiness / easy of working with it… if there is any kind of natural cream you already use, try mixing in a little bit and see if it dissolves. You could try honey (although it’s sticky and obvious on your skin, so not as versatile). 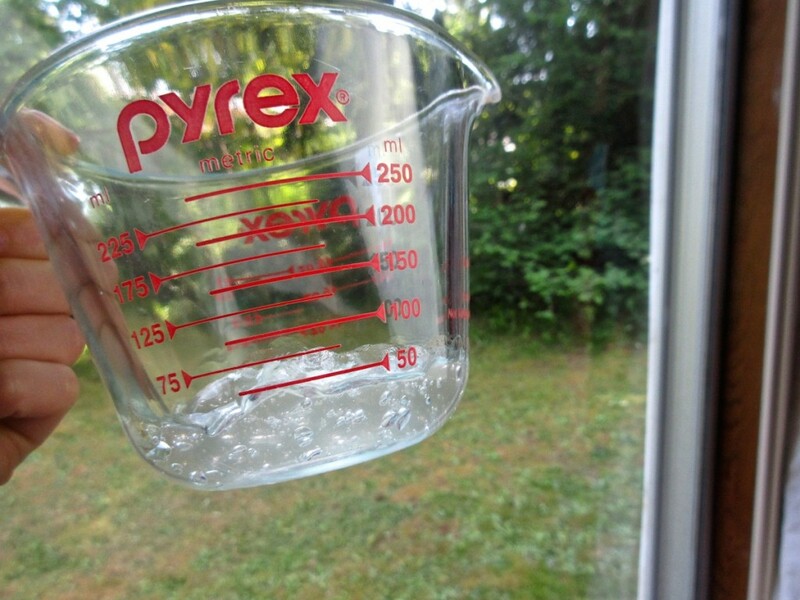 If you don’t mind your spot treatment being totally liquid, you could even just use water. Hi Tracy, can you leave on the MSM gel? Or do you have to wash it off like face masks? Can I make a toner with witch hazel and MSM? Can you leave this mixture on problem areas overnight? Awesome! What about using this gel every night/every other night to help speed up the scar healing process?.. Do you think it would be too harsh on the skin due to overexfoliation or not too much of a problem since it’s all natural ingredients?.. doing the caveman regime, and its going well. Also trying to cleanse my liver. But biggest problem is BIG pores on my chin, that have stretched. There are a few whiteheads in the area, any advice?? I play a lot of sport every day and try to eat healthy, why am I still getting whiteheads on my big pored chin?? hello! thank you for this post – i am now looking for alternatives to the changed msm cream, and i found this which looks to me like it’s safe and natural…what do you think? it’s hard for me to judge sometimes what is really natural and what is only made to appear natural. Hi Emily, sorry to hear that :/ What kind of skin care were you using before going to the caveman routine? I was using chemical face cleansers until i read your blog, so im not sure if my skin is just going through a transition phase… Im wondering if i should just use jojoba oil for awhile before trying the caveman regimen again. Do you think that would help? what do you think of sulphur soap? I know MSM is a form of sulphur. Could I use sulphur soap to wash my face and then use this MSM mixture afterwards? what are your thoughts? Haha wrong comment, my bad. Hey, Tracy! Do you think this one would be okay to use for acne scars http://www.amazon.com/Aloe-Gel-Pain-Relieving-Gel-4-ozs/dp/B004LMLP5M/ref=cm_cr_pr_product_top?ie=UTF8 ? I know it is meant for relieving pain, but says that it can also reduce acne. It also has turmeric, which I read is good for acne scars. Oh whoops, that was a mistake. It’s supposed to be a tablespoon per 1/4 cup aloe. I’ve updated it, thank you! Can you substitute DMSO for MSM and refrigerate it so the DMSO emulsifys? DMSO is a cryo perservant similar to MSM a stronger free radical scavenger. vitamin C makes a good preservant. Thank you!! I added more aloe and now it is dissolved!! I am so hopeful this will help my scars! yay! Do you know how long it can take to see improvements? Thank you for all your help! I just bought your book and I love it! You’re welcome, glad you’re enjoying the book! Not sure how long it will take to see improvement, since it’s gradual and different for everyone… hopefully you’ll just start to see the red marks clear up faster than they were before! Hi Lily, I’m sure it will be fine and not scar.. just no more picking & ripping ok! I’m quite young too and doing the Caveman, I recommend it. If you want I will give you my email address and we can help motivate each other! Does the caveman work on teenage zits?? I’ve also read that a spot starts to develop 2-3 weeks before you see it. So when the C. regime 30 day finishes is what my skin is like be down to my diet?? Please Reply, I just got three zits and am contemplating ditching the caveman. Thanks so much Tracy, I am on day 21 and it is going quite well. When my skin starts flaking if i scrape it of will it destroy the acid mantle?? Cheers, the caveman regime is very liberating and it moves from forehead to chin, at first it was oily really oily, then loads of bumps, then flakes then smooth. This is happening to different parts of my face at a time, I can feel my face repairing itself. The human body is amazing!! this stuff is where its at! Hi Kelly 🙂 What kind of aloe did you use? Hi tracy! Just want to know if pregnant women could use this mix. There’s no danger for my baby? Thank you so much for your amazing advices! Hi! I just wanted to add in that I have had some hyperpigmentation from acne scars on the chin area and I found that frankincense essential oil works so well at helping them fade. A few dabs every night has really helped me. Like everything though make sure you are getting 100% pure frankincense, no fillers or synthetics. I hope this helps someone! Thank you for that tip re Frankcincense, MaryJane – I have heard the same. I am finding (after having tried a myriad of oils that work for a bit and then aggravate) that the combo of jojoba oil to wash, and aloe vera to tone, is working so well for me (previous adult acne – aged 44). That, and sea water!! But I need a fader of scars, and the occasional topical dollop of something on blemishes, so thank you – will try! I have also heard that MSM capsules are very good (taken orally, rather than topically). Hope this has helped somebody! Hey! I bought aloe and msm powder and had no problems mixing them together. How much do I use on my face? A thin layer or a thicker layer? Also how long does it last once mixed? Should I keep it in the fridge? How much MSM do you recommend taking internally to be effective at clearing skin and improving scars? Thanks for all you do- you’re an incredible resource! Hi..thx for the advice..I mixed my 99.9 MSN with banana boat aloe … is that not pure enough aloe?..thx..Scott..62 yrs old an been suffering for years Iam hoping this helps..
Hi Scott, yep I recommend something better quality than banana boat! I bought this and mixed with Aubrey organics aloe Vera following your portions, but it’s not dissolving. Any tips? Thx! Could it be because my aloe was refrigerated, as to why it isn’t dissolving? I made the MSM/aloe vera gel according to your exact specifications and the MSM dissolved into the aloe vera gel with no problems. However, when I apply the finished MSM/aloe vera gel to my skin, while the aloe vera gel itself is easily absorbed, there is a thin white layer of residue that remains on my skin after the aloe vera gel is completely absorbed. I believe that while the MSM is completely dissolved by the aloe vera gel, it is not being absorbed into the skin for whatever reason (maybe because of the skin’s own layer of oil ‘blocking’ the water-soluble MSM). What are your recommendations on solving this particular problem? What is the difference between MSM and regular sulfur? I’m having difficulty tracking down answers to this. Thanks! I love this recipe! This has given me a lot of hope. I have rolling acne scars over both of my cheek areas, which are quite shallow but still noticeable. I have been using a 5% diy vitamin c toner (I’m slowly working my way up to 20%) which is also meant to be really good for fading scars. Do you think I could make a super toner by combining the vitamin c with msm, and diluting it with rose water? And if so, what ratio should I dilute it with the vitamin c and rose water do you think? 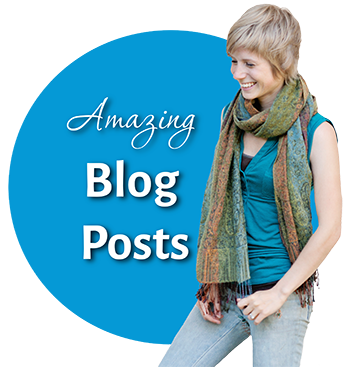 Thank you for your reply and wonderful blog! So should I always apply this after my moisturizer? I’ve always felt like i should apply things before my moisturizer. Also what mousturizer do you use? Right now I use acure Argan oil or I use Acure daily moisturizer. I’ve tried so many things. I have acne, but it wouldn’t be as bad as it is if I could stop picking at it. I have bad scars. 3 years ago I stopped using proactive after using it for 5-6 years & my skin had bad withdrawals.. For quite sometime. And I picked and picked .. Now I have so many scars. Great info. I use Natural Balance Pure MSM Liquid ( naturalbalance.com) with a 99%Aloe gel (puritan.com). Works great. Hi there, my daughter suffers from atopic eczema since birth, she is 6 now and tried everything that is there. We came to this place high in mountains where she can have hot sulphur baths for 2 min every day, I’ve collected pure sulphur from here and mixed it with olive oil as it is helping her and its easier to apply it. I am going to try and mix it with aloe Vera plant as I got one in front of the hotel. It is something I’ve been reading a lot these two days and I’m trying to make something for her that is very organic and free from other things. Thank you for sharing this with us and I hope it will work for my baby. I cannot begin to tell you how happy I am to have stumbled on to your site with this invaluable information! I have deep lolling scars from a sudden onset of adult acne. I have a liquid MSM with Vit C, can I use this concentrate directly on my skin? So grateful for your help!!! 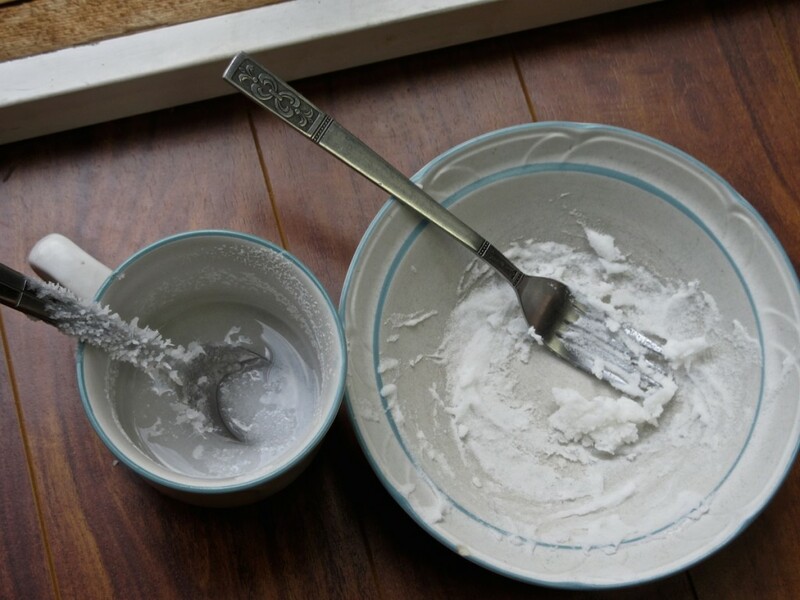 I just made my own msm cream with pure aloe vera and msm powder following this method but I found that the powder leaves a white residue on my face that looks like dry skin. It feels like the msm isn’t soaking into my face but just sitting on it. Do you know how I could fix this? One more question! Should this cream be refrigerated? I remade the cream and it no longer leaves a residue on my face. However, I use Lilly of the Valley aloe vera and I think my skin is reacting to the citric acid in it. Every time I put it on, my skin gets red and itchy. Does anyone know how to remedy this through dilution or something? I’d rather not have to get new aloe vera since I just bought a giant bottle. 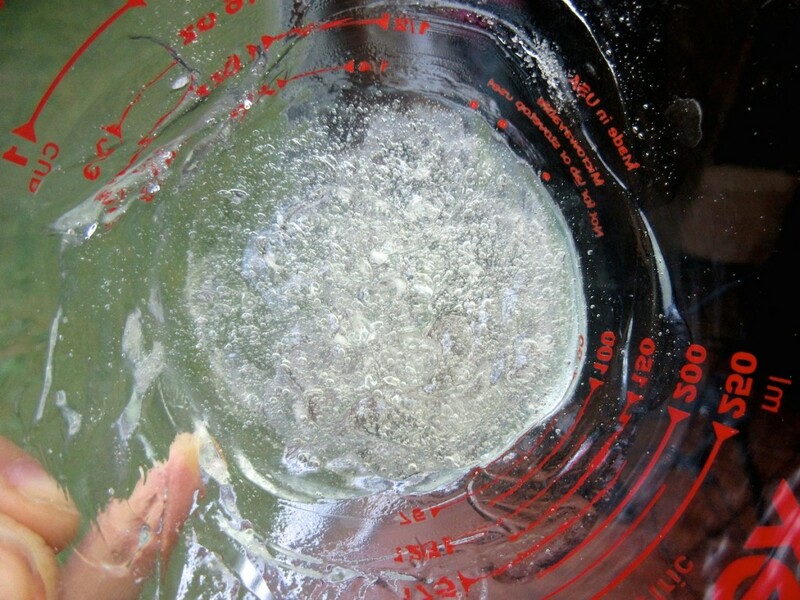 You can dissolve msm easily in warm water , I can’t understand how you had difficulty dissolving it . Some people dissolve msm and magnesium flakes in warm water and spray on painful joints . Hi there! Nice blog 🙂 I know you’re more of a skincare blogger, but my question is have you done any recipes with msm to grow eyelashes with for like a eyelash serum to extend the anagen phase of growth (trying to find a natural alternative to Careprost which is a Latisse generic)? I’ve scoured the internet, but not much comes up. And how would you make msm water-based solution? I don’t see a date on this post, but I’m enjoying your site. I found it a while back when I was trying to research eczema. I attribute the clearing of my eczema to daily msm crystals taken in my coffee (can’t taste it, swear), and to cod liver oil capsules taken daily. I believe the changes I’ve made to my diet were required too. I feel better all over, and my skin is returning to normal. I followed your recipe. I found some pure aloe vera at the grocery store, and mixed in the msm crystals. It did dissolve after a while. I shook it up and put the little jar in the fridge. It’s still a liquid, not a gel, but that’s okay. Both ingredients are of great value for healing. You’re welcome! 🙂 Glad to hear things are looking up for your skin.